In preparation for new seasons, many online buyers choose to the convenient and fast way to obtain the pet supplies they need by shopping online in the comfort of their own home. By selling pet supplies online, you give new buyers the ability to order a bigger supply and enjoy delivery to their homes. 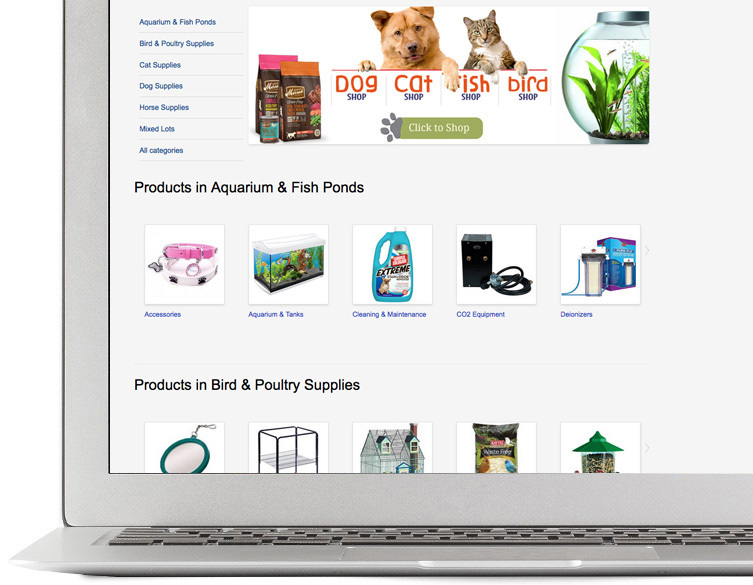 The ILance platform helps you setup and launch a successful pet supplies marketplace with all the right tools just a few clicks away. Setting up a marketplace can be time consuming, ILance makes it easy to create a marketplace to sell your pet supplies online in minutes. Our intuitive add to cart system is secure and professional with complete shipping and tax management plus detailed reporting to help boost your sales.